Handcrafted from stainless steel, Vault brings bold new style to the traditional farmhouse sink. The single-bowl design features tightly angled corners to maximize basin space, and an included bottom sink rack helps prevent scratches. Due to its shortened apron, this sink does not require a special apron-front cabinet, making it easy to install with most new or existing 30-inch cabinetry. The Self-Trimming(R) design requires only a simple rough cut, overlapping the cabinet face for beautiful results. 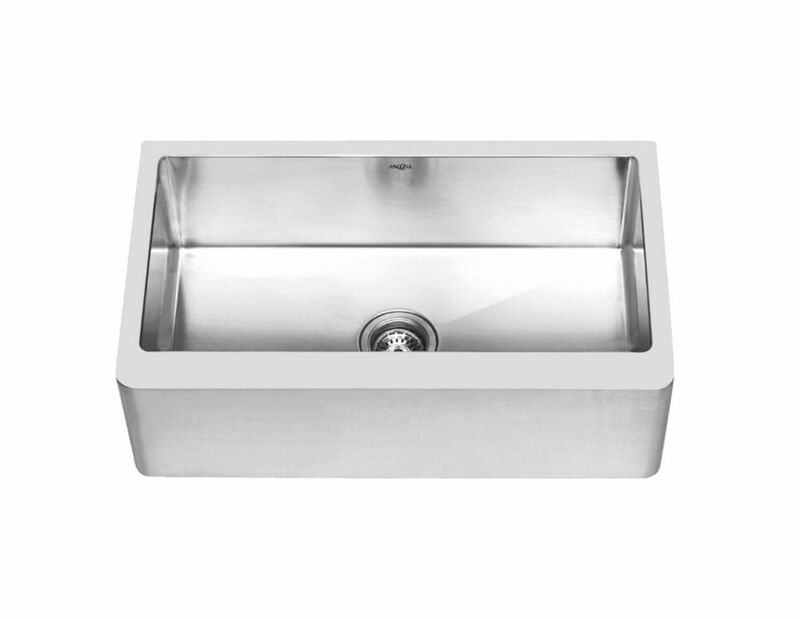 Prestige Series Undermount Farmhouse Apron Stainless Steel 30 inch Single Bowl Handmade Sink Built to last, this captivating sink will completely renovate your kitchen's presence. The delicate handmade craft displays slender and elegant curves, which can integrate harmoniously with any kitchen arrangement. Its intrinsic design allows an ample and suitable bowl, concealed by a stunning front apron facade. This quality long-lasting sink is guaranteed to improve your everyday kitchen affairs. The Ancona Apron Single Bowl Sink is designed to be undermounted and will fit over most dishwashers and other cabinets.